Last week, I visited one of our local childcare centers to do storytime about spring. I know I have posted spring storytimes on my blog before, but since I was using some different materials, I wanted to share this one, too. You can see my previous spring-themed storytimes here and here. Opening Song: My Hands Say Hello - This is our standard opener and it works in the library and outside the library. 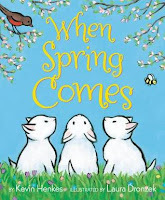 Book: When Spring Comes by Kevin Henkes, illustrated by Laura Dronzek (Greenwillow Books, 2016). Oh, new storytime gold! This bright, colorful book is a great book for talking about spring. 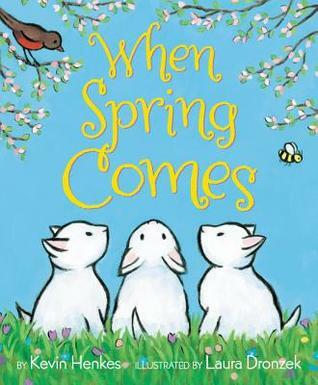 In simple text, the book introduces lots of spring concepts like snow melting, grass turning green, eggs hatching, flowers growing. There's a lot here, but it's not too much and it's a great storytime starter because you could make a lot of different connections to move to your next book. This is a great book to practice or demonstrate dialogic reading (encourage kids to talk about what you're reading about and have a dialog with you) because there are lots of spreads with many different things to talk about. And don't forget the endpapers: the beginning endpapers show lots of spring things and the ending endpapers show lots of summer things! 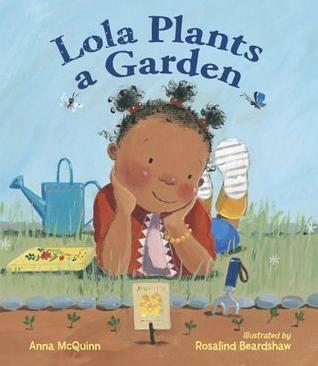 Book: Lola Plants a Garden by Anna McQuinn, illustrated by Rosalind Beardshaw (Charlesbridge, 2014). 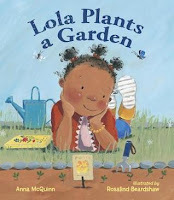 After reading the poem "Mary, Mary Quite Contrary", Lola wants to plant her own garden and this book follows the steps she takes to do so. I love that their first step is to visit the library to read books about gardening and I always exclaim about how that's such a good idea. ;) This book is a great book to introduce the activity of planting a garden and I love that it includes some everyday diversity, too. Song: Ten Little Flowers. I use this song pretty much every time we do a spring storytime because it's easy to teach the kids, gives them a chance to stand up and get some wiggles out, and it's a great way to include a little STEM knowledge that flowers need water and sunshine to grow. 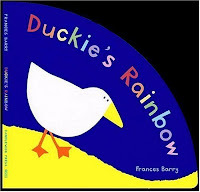 Book: Duckie's Rainbow by Frances Barry (2004, Candlewick). This is another book that I use ALL THE TIME. It's a neat book for reinforcing color knowledge and the rounded pages create a rainbow as the story unfolds, which kids love, so this is a great book for developing print motivation. I like to read the story straight through and then pass out scarves and read it again, having the kids help me retell it by waving their color scarves when we read their color. Rhyme with Scarves: While I say this rhyme, I ask the kids to hold their scarves in the middle and flap them around the room. Putting Scarves Away: To put the scarves away, I sing the following song. This is another activity that reinforces color knowledge, listening, and following directions. Felt Story: The Very Hungry Caterpillar by Eric Carle. This is a felt story that I bought from Lakeshore Learning when I was a baby librarian and it looks like it's not available there anymore. Since this is a classic story that many children are familiar with, I like telling it in a different format and will usually use my felt set or the pop-up version of the book so that it's something a little different from what the children have probably seen before. Not only does this story follow the life-cycle of a butterfly (STEM knowledge! Egg - caterpillar - chrysalis - butterfly! ), it can be used to practice counting and to talk about different foods.